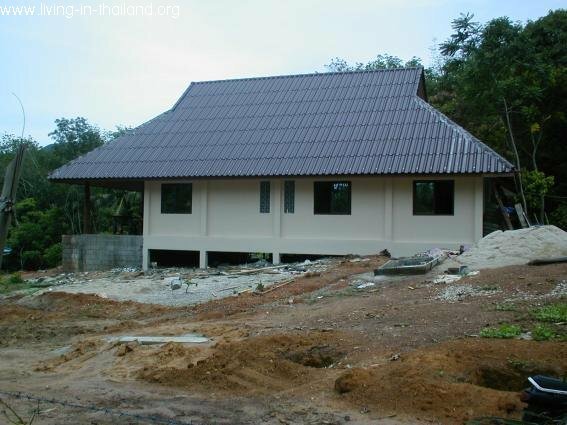 Here I’d like to show you in a series of pictures, how a house is build in Thailand. 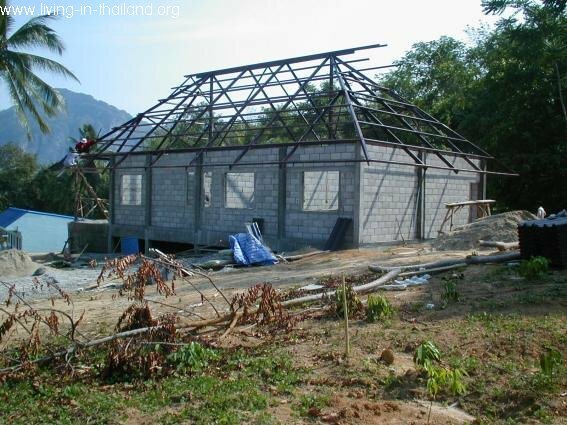 Houses in Thailand are build in what we call the “skeleton system”. 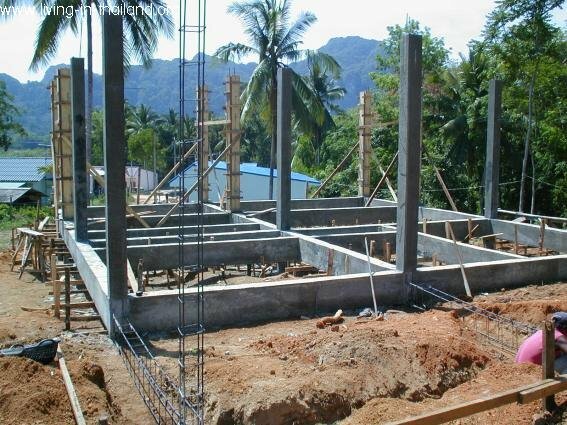 First they make the foundations, second some pillars and some sort of frame, then the roof on top and the walls are last. 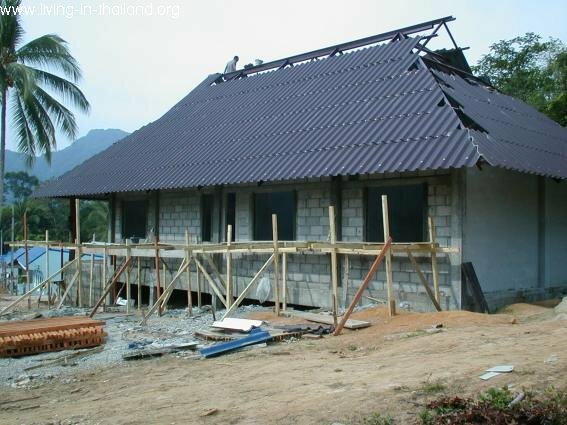 The result is, that the walls don’t have to carry anything anymore, which is quite different at least from Europe, where we usually make the walls first before we put the roof on top of it and the walls have to carry the roof, but take a look by yourself. You need to have an architect to make a drawing which then need to be approved by the officials at the Municipal Hall. At some places in Thailand, the one who makes the drawing and the official are the same person, so you don’t need to worry. Look for a reliable building team (company), discuss the price (per m²) with the foreman, where you should let the company organize and buy all material. It’s too much trouble if you want to do that by yourself. 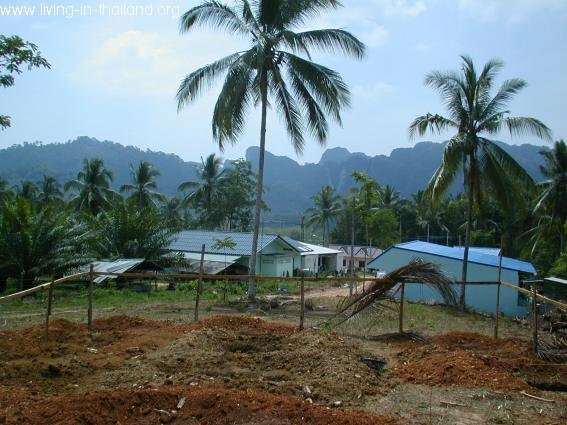 At this stage you could also make a construction contract with the constructor but you will probably need a lawyer for this since most foreigners can not read the Thai language and thus not the Thai contract. Those prices should already include all the labor and all materials like: cement, blocks, roof, tiles, water pipe, electric wiring, toilet bowl & bath tub and so on. Everything, except the furniture. If you build somewhere in the deepest province, you might get it a little cheaper. Never pay everything at once since the team or foreman may disappear with the money. Only step by step as the money is needed. Maybe on a weekly basis. 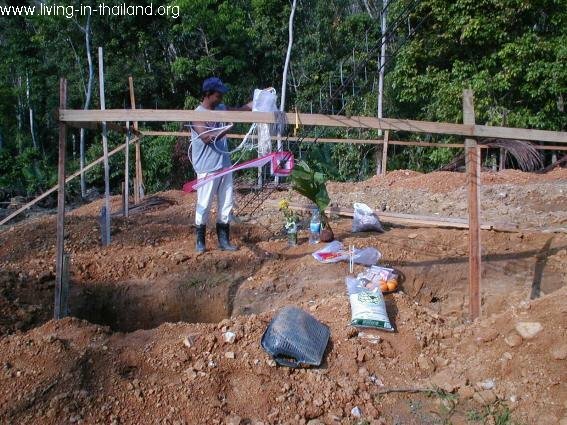 Make sure you can supervise the construction every single day. You can not trust any Thai or another foreigner on this one. 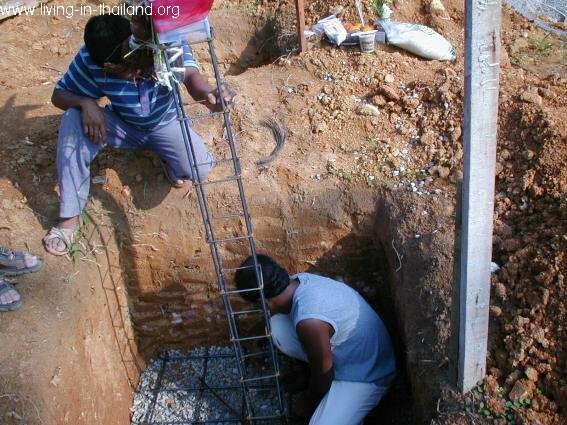 You also have to supervise the foreman and let them do necessary corrections, if needed. If it was raining, they surely would make the roof first. 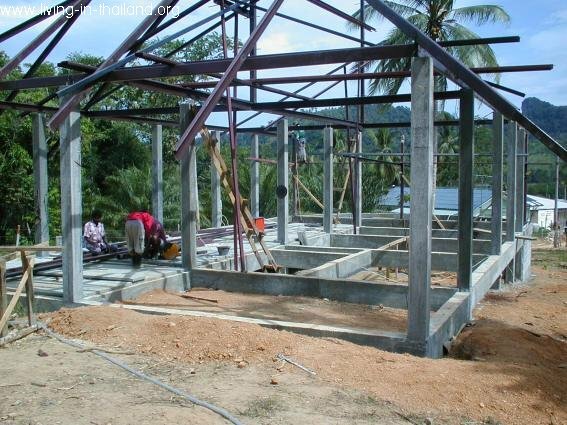 Here, even the roof is not finished, they already start with the walls. Walls done, roof almost. 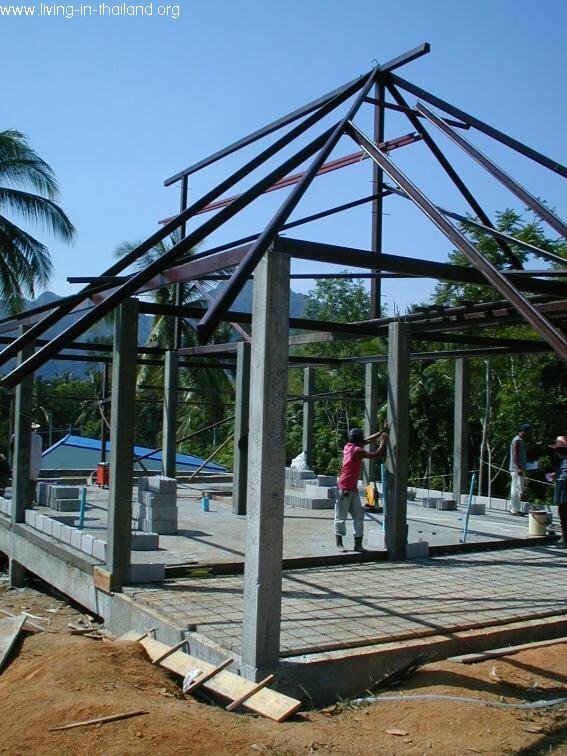 New roofs are now made from steel, less problems with termites.